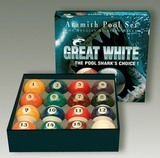 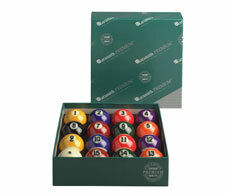 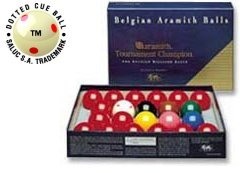 We carry only the very best in billiard balls. 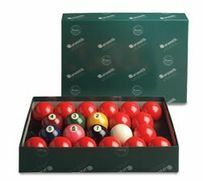 Other balls are made of polyester or polymers. 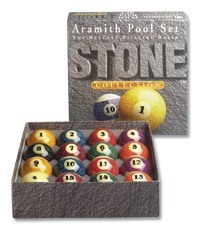 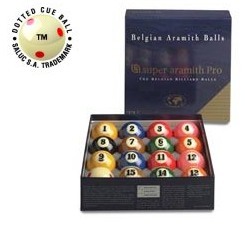 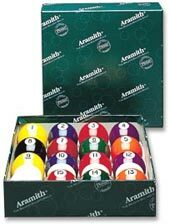 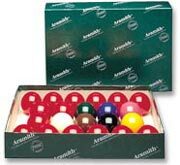 Aramith balls are world renowned for being the only ones in the world made of pure phenolic resin. 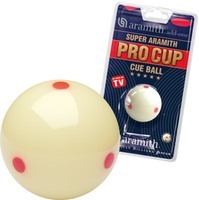 That's why Aramith balls last five times longer. 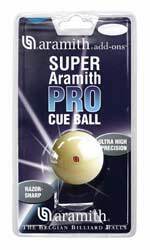 That's why Aramith balls reduce immense wear and burn spots on both balls and cloth. 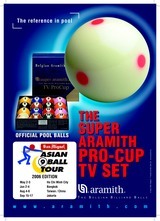 Aramith balls are so exquisite they are used in all tournaments worldwide. 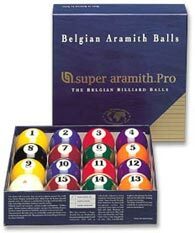 We guarantee satisfaction with any Aramith purchase. 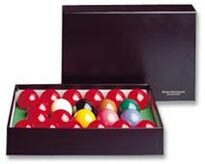 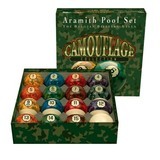 Take a look at some pool, snooker, and carom sets we have in stock. 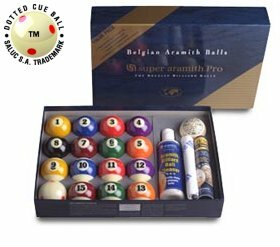 2 1/8", 2 1/4", 2 3/8"